Retail access allows us to help families create a drug-free environment in the comforts of their own home, as well as support parents in initiating important dialogue about the drug abuse epidemic with their children. Confirm BioSciences, maker of high-quality diagnostic testing and health & wellness solutions for both the corporate community and individual consumers, today announced its entry into retail distribution for its product HairConfirm® a trusted prevention tool that reliably detects drugs of abuse and promotes meaningful conversations with loved ones to create a drug-free home. Distribution partnerships with major national retailers will give consumers easy access to the at-home, laboratory-backed self-testing tool through approximately 8,000 locations across the U.S. and online—marking a significant expansion for Confirm BioSciences in the retail marketplace to satisfy a growing consumer demand for self-diagnostic products. 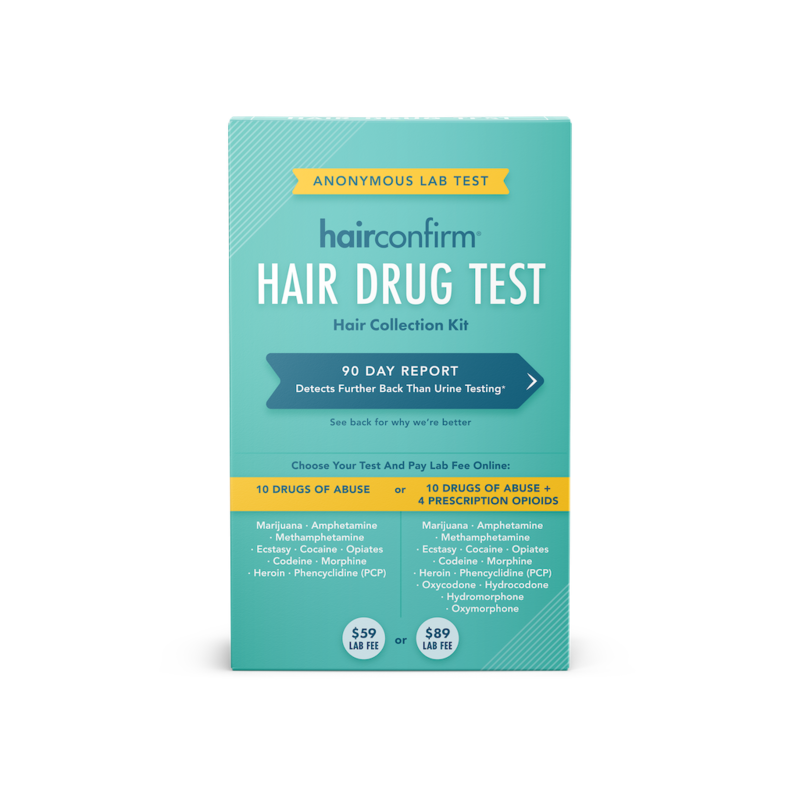 HairConfirm® offers the latest technology that accurately tests up to 14 drugs of abuse using hair. The all-inclusive hair follicle kit accurately screens for 10 illicit substances: Marijuana, Amphetamines, Methamphetamine, Ecstasy, Cocaine, Opiates, Codeine, Morphine, Heroin, Phencyclidine (PCP), plus 4 prescription drugs: Oxycodone, Hydrocodone, Hydromorphone, Oxymorphone. 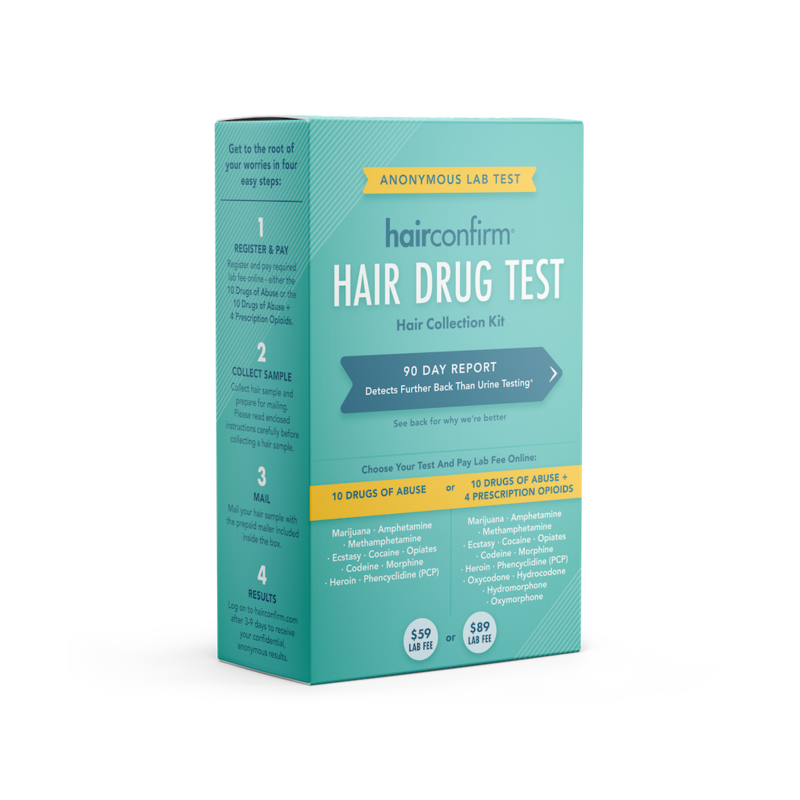 HairConfirm’s convenient, tamper-proof test has a unique 90-day detection window, offering a more definitive view of drug use versus the short 2-3-day detection window for urine samples. Samples are run through a CLIA accredited laboratory, and are always 100% confidential and delivered via a secure online portal. 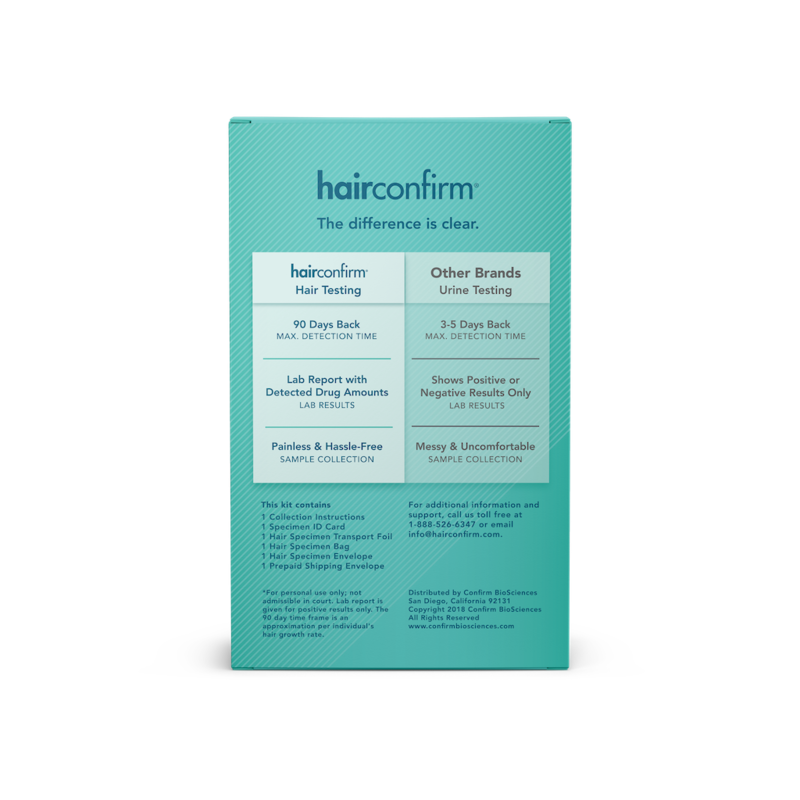 HairConfirm provides actionable results, from easy-to-read reports supported by outstanding customer service, to valuable resources to guide discussions with loved ones. 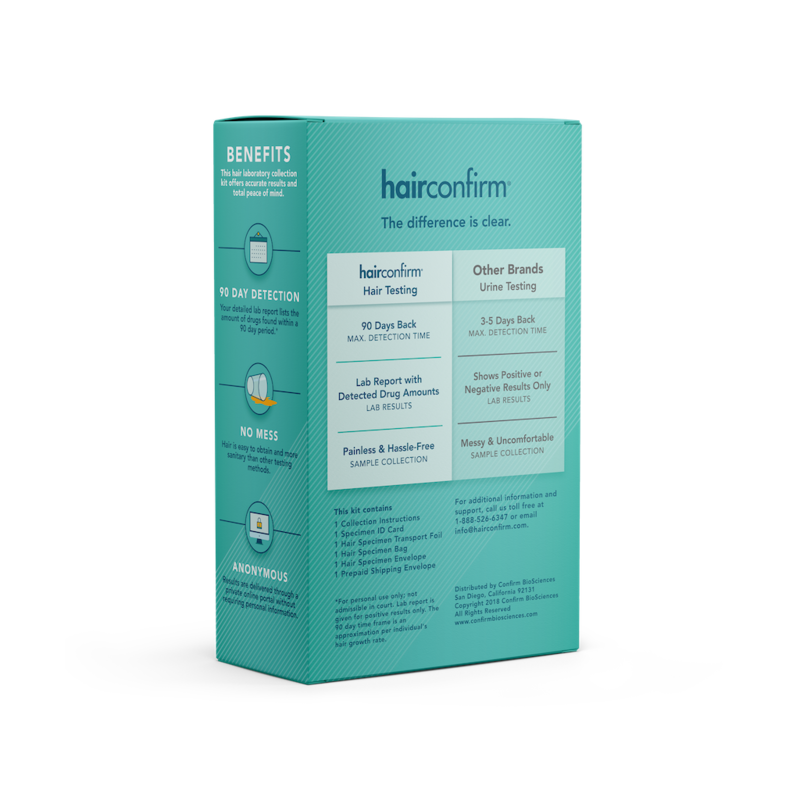 Beginning February 2019, HairConfirm can be purchased for a retail price of $19.99, along with a lab fee associated with at-home activation of $59 for a 10-panel illicit drug detection and $89 for a 14-panel, which includes opioids. Click the link: https://www.hairconfirm.com/where-to-buy/ for a list of retailers. In addition to HairConfirm, Confirm BioSciences plans to introduce new self-testing tools to consumers throughout 2019. As the trend of self-care continues to grow exponentially, it is Confirm Biosciences’ priority to provide tools and resources to support families in creating a drug-free and healthy home. For more information on health & wellness products, visit us here.